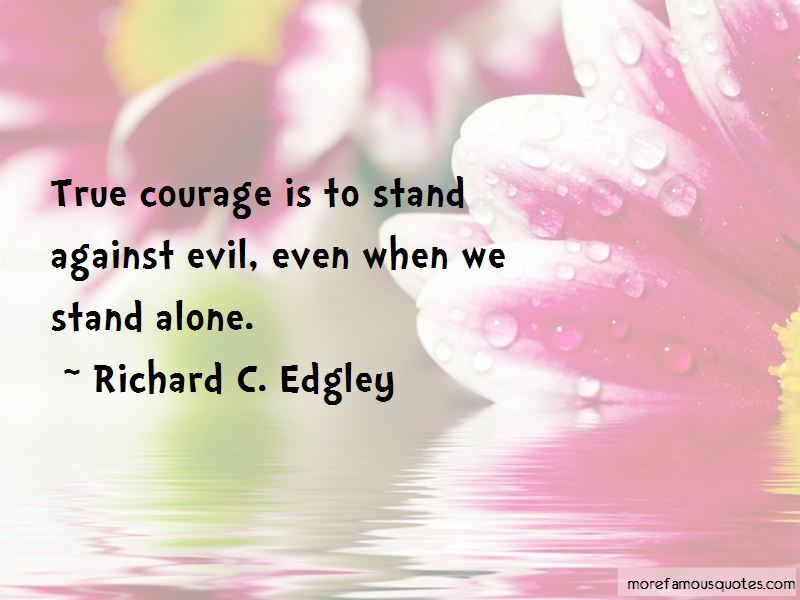 Enjoy the top 7 famous quotes, sayings and quotations by Richard C. Edgley. From our sorrow we might seek out the sweetness and the good that is often associated with and peculiar to our challenge. 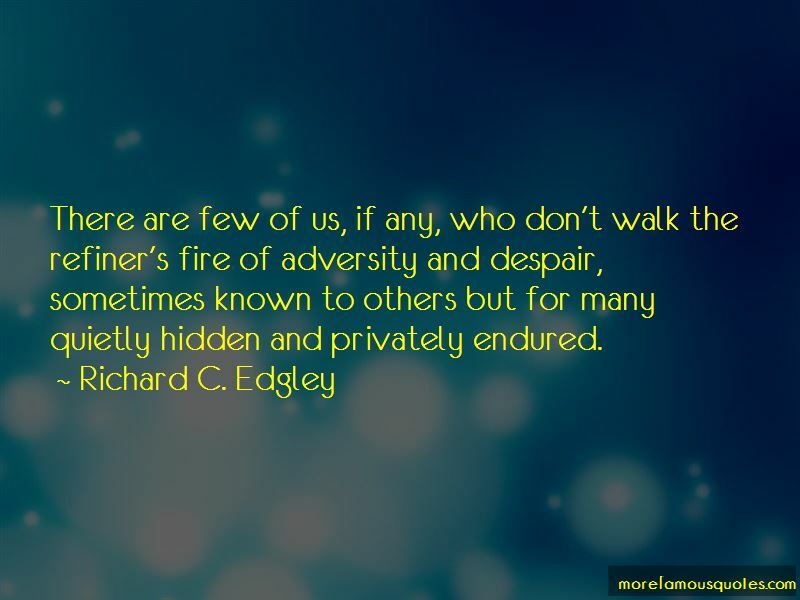 We can seek out those memorable moments that are frequently hidden by the pain and agony. We can find peace in extending ourselves to others, using our own experiences to provide hope and comfort. And we can always remember with great solemnity and gratitude Him who suffered most to make it all right for us. And by so doing we can be strengthened to bear our burdens in peace. And then, the 'works of God' might be manifest. 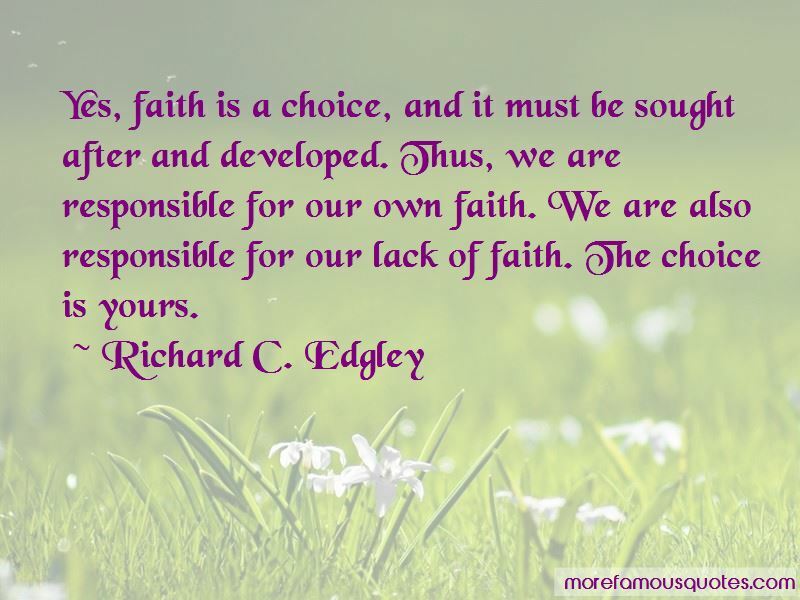 Want to see more pictures of Richard C. Edgley quotes? 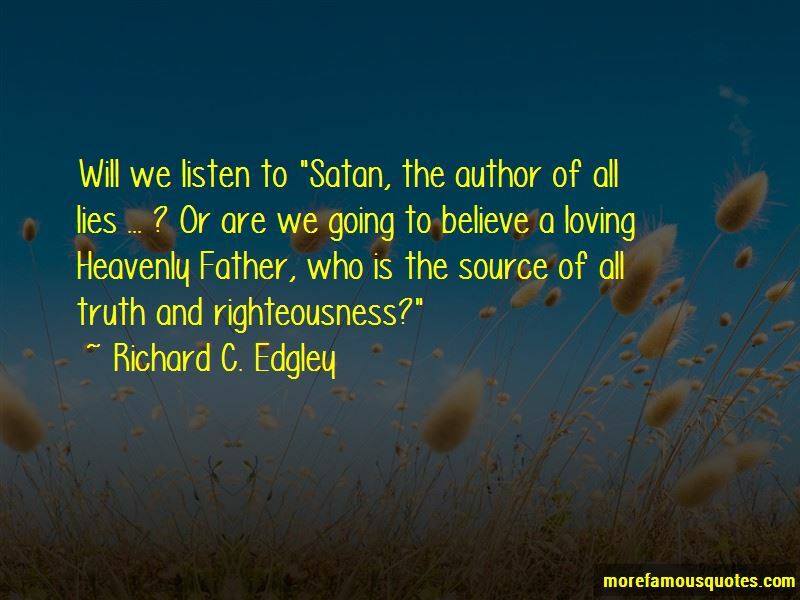 Click on image of Richard C. Edgley quotes to view full size.